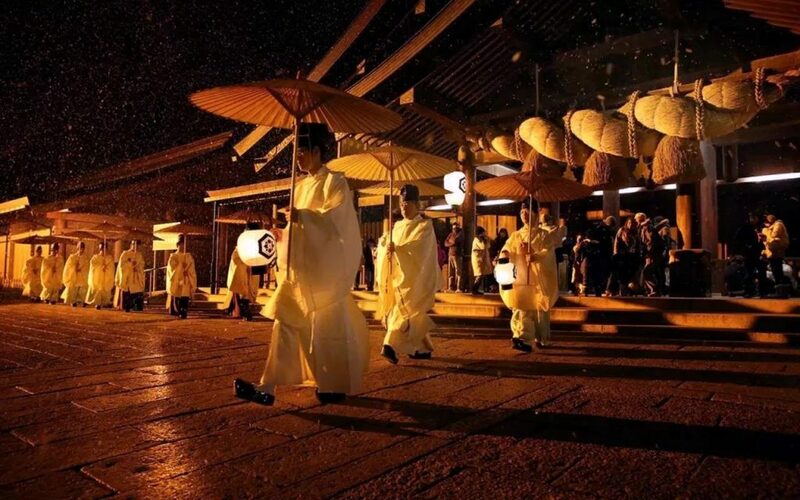 Shinto – an indigenous faith or religion in Japan which permeated in people’s lives so much, Japanese people don’t even realize they practice its tradition often. The Shinto, “Way of the Kami (Shinto deities)”, is wholly devoted to life in this world but not an afterlife, and puts importance on to make a community prosoper. Let’s take a look at its brief history and core values. There is no “one and only God” in Shinto. No founder to worship, no sacred scriptures to read, and no written rules to follow; perhaps these are the reason it stays in Japan and doesn’t spread around the world as other religions do. It has a high affinity for pantheism and polytheism. 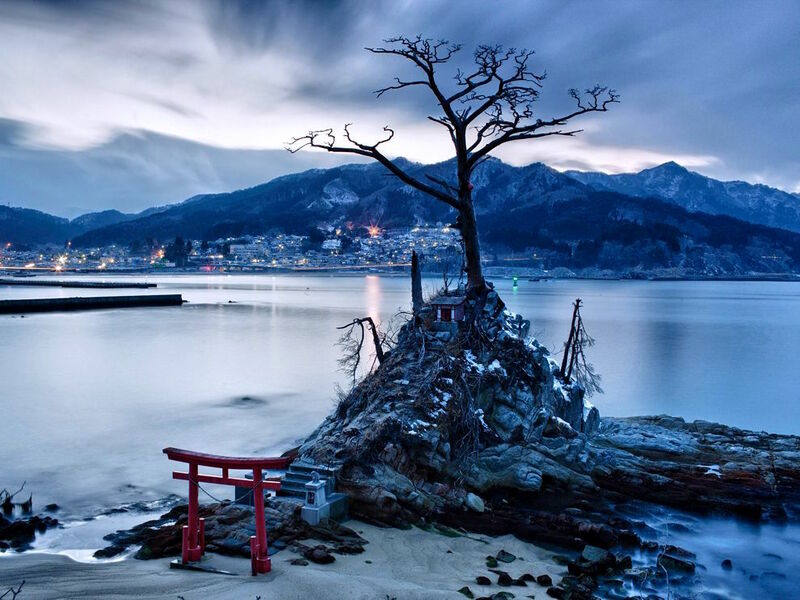 Shinto is deeply connected with the climate and natural features of Japan yet to have a universal belief system. The institution now called Shinto was initially created by the Yamato Dynasty in their bid to assume rulership of the Japanese islands. The folk beliefs and traditions didn’t have a name until when Buddhism was introduced in 538. Along with Buddhism and other religions, philosophies like Taoism and Confucius, Shinto always remains as the foundation of a Japanese way of thinking which accepts and merges with other excellent values. Many Japanese activities have their roots in Shinto. Elements of Shinto can be found in Ikebana and Chado, traditional architecture and gardens today. Also, a lot of Japanese pop culture, especially anime and manga, draw from Shinto for inspiration. Shinto has a long history, changed its value to the different period of the times, social situations, and political conditions. One thing we can say about it is; Shinto embraces other religions, philosophies, and compliments each other by creating symbiosis environment to live in harmony. Shinto is mentioned in old two books which have been written around the 8th century, one is Nihon Shoki (Chronicles of Japan) and the other is Kojiki (Chronicles of Ancient Events). 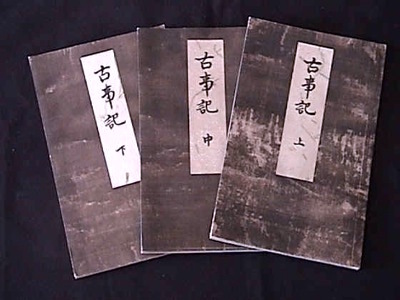 Both are regarded as an official and important documents cited numerous times, but you can say Nihon Shoki was written for foreign countries (mostly to China) and Kojiki was for the domestic purpose. Both of them were compiled by the order of Emperor Tenmu. According to the Kojiki which was compiled in 712, in the beginning of the universe, there appeared various kami (deities) from the chaos. The Kami in Shinto are not like the all-powerful divine beings found in Western religions, but the creative forces in nature, a form of the system of nature itself. Notice that the Kami can be both singular and plural. Two of these primeval kami were Izanagi (male) and Izanami (female). After giving birth to the land of Japan, they produced many other kami including three major kami. One of these is Amaterasu, the sun goddess. Amaterasu is believed to be the ancestor to the emperors of Japan and all of the Japanese people are believed to be descendants of these kami. Izanami died after giving birth to Kagutsuchi (the kami of fire). Izanagi journeyed to the underworld (Hades in Greek) to find her. Finding her decayed body crawling with maggots he fled in horror back to the land of the living. To purify himself, he entered a body of water and when he washed his left eye, there came into existence the Sun Goddess, the Great Kami Amaterasu; and when he washed his right eye, Tsukuyomi, the Moon Kami, emerged. After years of struggle, the Japanese people were warring against each other and the Sun Goddess Amaterasu sent her grandson, Ninigi, to reign over Japan. Ninigi married to Konohana-Sakuyabime and their grandson is Emperor Jinmu was born, who is said to be the first Emperor (BC 711 – BC585) of Japan. Shinto is unique among the religions of the world in representing the Supreme Being as feminine in gender and related to its founding myth. Shinto never developed a moral order or a hierarchical priesthood and did not offer salvation after death. It notably focuses on the present moment to live fully. There are various types of Shinto such as Shrine Shinto, State Shinto (lasted only 80 years), and Suika Shinto, which was developed after many foreign religions and philosophies were introduced. However, we can say original Shinto is Ancient Shinto, ceremonies that could be called religious in it was dedicated to agriculture and always emphasized ritual purity. 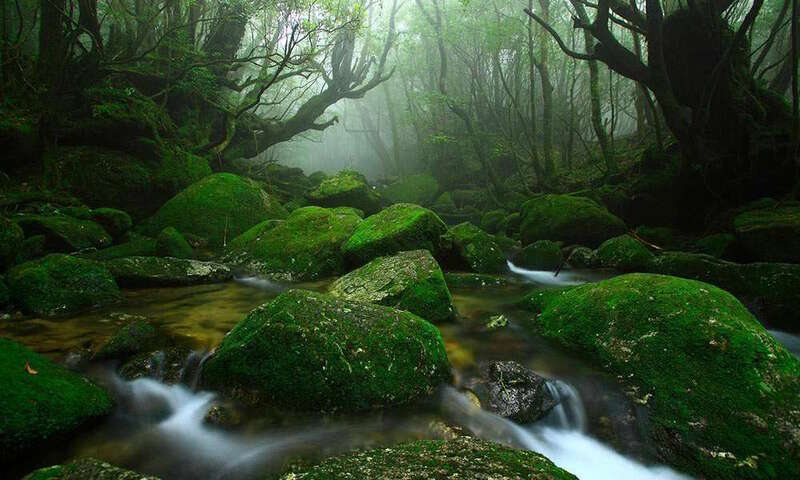 In ancient Shinto, there were no shrines but people found kami in the rocks, mountains which people call “iwakura” where believed that kami reside. Often times they put paper streamer or hemp rope to circle around, made “altar” used as a locus of worship and prayed in front of it. Japan is in the land of volcanoes. Having magma under the ground has made it possible for Japanese people to live in a colder climate in the past. The energy is always moving, people have been appreciated hot spring while endured the damage of earthquakes. Japanese people always have been living with mountains as seventy percent of the Japanese land consists of the mountains. People can’t live without nature. Even though they face dire situations like disasters which threaten their lives, they cultivated the mind and attitude towards nature to live harmoniously with it. The boundary between Kami and people are vague and they find kami in literally everything. As people find kami in everything and everywhere, pantheism and polytheism are familiar concepts to Shinto. Like Spinoza believed that everything that exists is God and stated “God is the force preserving things in existence” in his notable book The Ethics, this type of philosophy is seen in the Upanishads which written in ancient Sanskrit and Stoicism as well. As we can see there is religious faith that people revere large rocks in the mountains as primitive shrines, they worship mana from the sun, too. They put Shimenawa (sacred rice-straw ropes decorated with cut paper) around sacred trees and rocks in the mountains; also, the woods around the shrines are well-taken care of as an important aspect of their faith for kami today. They appreciate any natural phenomenon which supports the great harvest of rice such as a thunder and they give it a name “kaminari”. People see kami, not just in things which attribute to nature or happiness, but also in live beings, artificial tools which have been used for a long time. People even built mounds and enshrined enemies, fish and whales which had lost their lives for them as they thought kami would inhabit in them, too. In Shinto, people assume that they become spirits and Kami as well after people die. Since everything in nature is kami, it is natural to think the dead becomes kami and to be revered. In Shinto, the ideas closest to the western notion of evil are pollution and impurity, which is called “Kegare”, and it does occur through normal acts such as contact with things that threaten life, for example, death, blood, or disease. This is unavoidable and constitutes no sin; Kegare is washed away through rituals of purification. Thus, it’s considered to be the highest value to maintain the purity and natural state of existence; it starts from keeping oneself clean by having a bath and cleaning one’s home. Suffering is not regarded as a form of punishment for human behavior, but, rather, as a natural element of human experience. Shinto deities, kami, are equally capable of being gentle and loving, or awesome and terrifying. There lies the answer, why Japanese people love taking a bath, most of them take a bath every day. An abundance of water resource makes it possible to take a bath instead of just taking a shower. 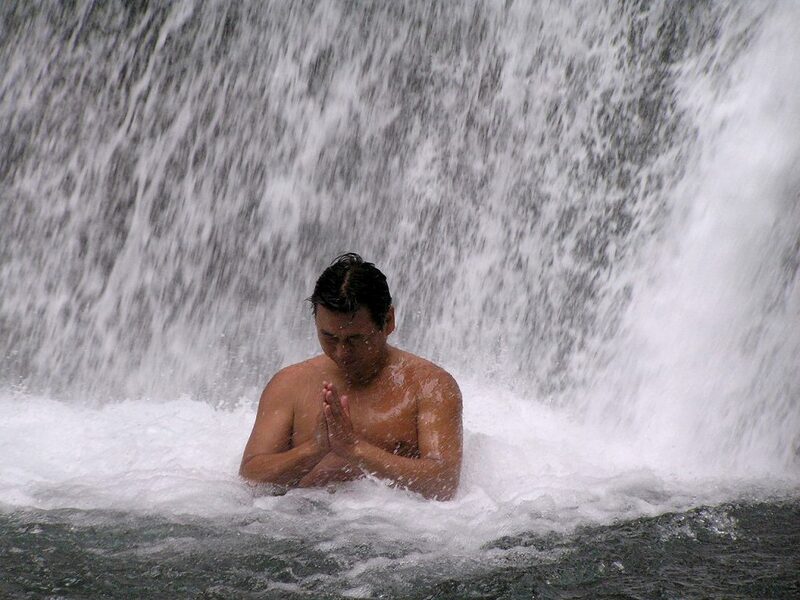 The love for taking a bath and soaking a hot spring should come from the spirit and rituals of purification which has been performed since the ancient times. There are no right or wrong teachings in Shinto. No one tells you this is good or that is bad, you can’t-do this or you can’t-do that. It should be developed in the way one grows in a community by looking how they behave to maintain peace. In addition to that value of keeping oneself neat and clean, being honest is another value which is one of the highest value in Shinto. New buildings constructed in Japan are frequently blessed by a Shinto priest during the groundbreaking ceremony which is called “Jichin-sai”, an owner of the building gets on the top of the framework and throw out candy to neighbors. And many Japanese cars are blessed at some point in their assembly. 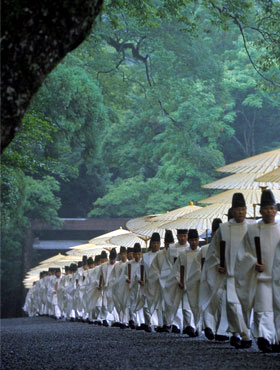 Festivals, ceremonies, and rituals have been the most important aspect of Shinto practices. As Japanese society has been thriving with rice cultivating, these festivals revolve around it. In the spring, people pray for the great harvest when they begin to cultivate rice, in the summer, they pray for the less damage for their rice fields, and in the fall, they celebrate and appreciate the harvest in all over Japan. Besides to shrine rituals, people get together, parades with mikoshi (portable shrine) and float to celebrate seasonably. Shrine usually is a center of rituals and festivals, but in the Imperial court, his Imperial Majesty prays for the peace of the entire nation and its people every single day and holds rituals and festivals as well. There are many festivals and rituals all year round like celebrating the New Year, warding off bad luck, taking one’s baby to a shrine to pray for blessing, Shichi-Go-San (festivals for children), wedding ceremonies, a ceremony of purifying a new building site, and the list goes on. In performing arts, Miko-Mai (the dance performed by a female shaman of Shinto) and Kagura (shrine ritual dance) is performed in regional festivals. Sumo, Japanese-style wrestling, is a part of shrine rituals which would comfort kami as a prayer. What we have to keep in mind is shrines didn’t come first, but such as mountains and rocks were the object of beliefs, shrines exist literally to enshrine them. 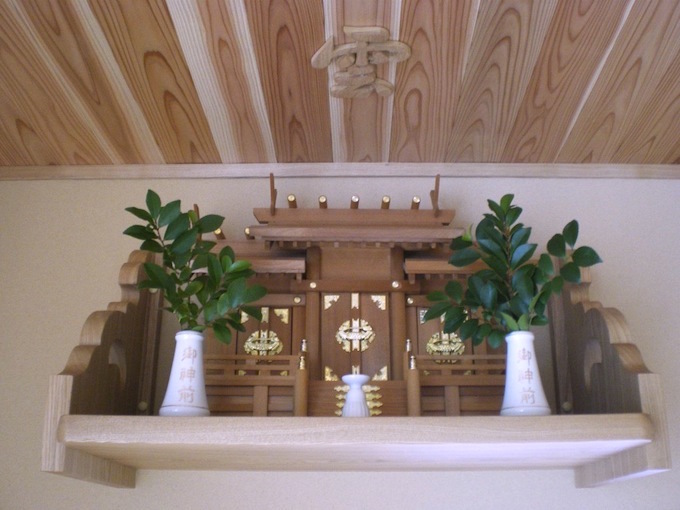 A typical shrine will exist for the worship of one or more specific kami. Each shrine is dedicated to a specific kami who has a divine personality; they are supported and maintained by community groups, and often serve as centers for community life as a center of Shinto beliefs. The larger shrines are members of national shrine associations, and certain shrines such as Ise Jingu, the main shrine of Amaterasu, have significance for the Japanese nation as a whole as a large number of people visit Ise Jingu throughout the year. 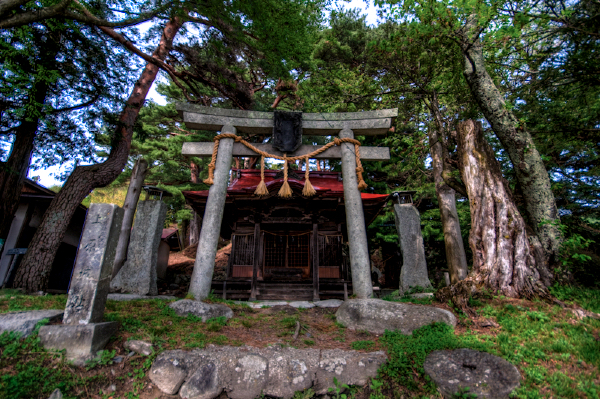 Shinto shrines are marked by a special gate called a torii. A torii is believed to separate the sacred world of the shrine from the world outside. There are about 80,000 shrines all over Japan. Each shrine has a yearly festival in which people pay their respects to kami and celebrate with food and drink. Aside from an annual festival, they offer cleansing rituals and prayers at the request of people. In each home, people pray for the safety and prosperity in front of the kamidana (household altar), which can be called a small festival. These would be purified daily, and daily offerings were placed on them for kami. Talismans from local shrines might also be placed in the Kami-dana. Today, individuals will visit a local shrine to pray whenever they have a need or desire to do so. People can feel the sense of connection to the local kami and land when they visit their local shrine by closing their eyes and putting their hands together to pray. Through digging Japanese history, we believe we can find more beauty through exploring patterns, designs, and spirits backed by our curiosity. We share the thoughts and images for the better understanding of what the country with the world's largest history can offer. Enjoy exploring and discovering insights with us. Copyright © Created by Patternz.jp.